Truffaut is one of France’s garden centre chains. With 58 stores in France, Truffaut reports annual revenue of more than €460 million. The company does not have an in-house merchandising team and turned to Visiativ to provide merchandising services. 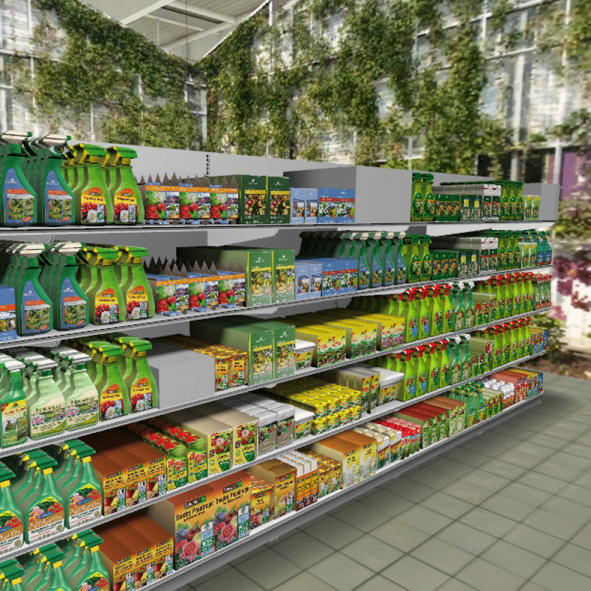 Visiativ was proud to take on this mission, using 3DS Perfect Shelf to create planograms of Truffaut stores’ bulb, seed and gardening aids departments. The planograms have been used at all 58 Truffaut garden centres in France since 2009. Visiativ’s planograms have increased customer acquisition. The solution is now also used for Truffaut’s pet supplies department, with other departments soon to get on board!